Be creative and have fun! If you are crafty - or even if you're not - you can easily make this fun origami fish! It has many uses - although the best use of all is just to look at it and enjoy your handywork! 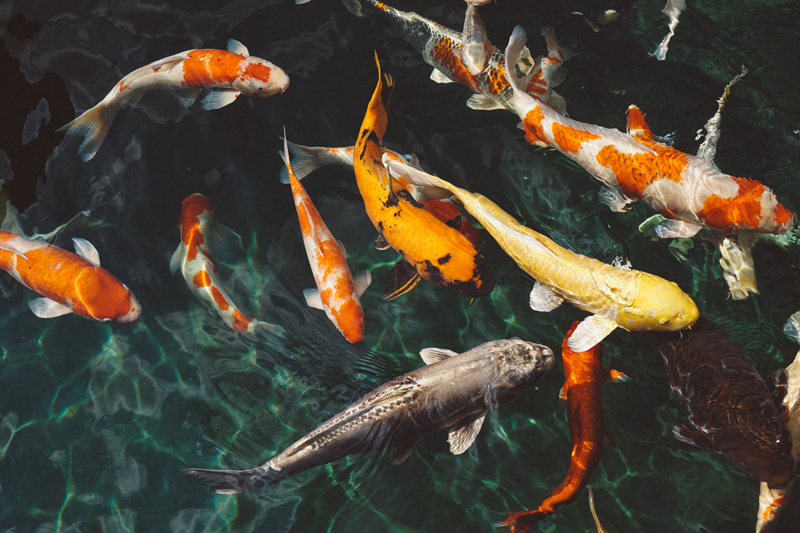 Your fish like to look at them, too - you can place the origami fishes around your aquarium on the stand or table where your aquarium sits to entertain your fish as they swim by and appreciate the art you have created for them! You can also use them as gift package decorations or 3-dimensional greeting card decorations or party favors and the list goes on and on as to what you choose to enhance with your new, fun origami fishies! First, let's start to make the fishy friend by gathering together some origami paper, markers, glue, and glitter! Even other types of paper work - I made some gold origami fishies by recycling Christmas wrapping paper - they turned out amazing! You start with a simple, basic fold in which you take a square piece of paper with the color side face down - fold in half so you now have a triangle; then unfold. Then, all you have to do to finish the basic form part of the fishy is to fold the left and right points to the center crease so that your piece of paper (origami paper or similar) looks like a kite! Now, you're done with the basic form, so you move on to the next simple step. After that, you will fold the whole piece of paper in half by bringing the left side to meet the right! Easy, right? Are you with me so far? The following step will show you the fish shape you have been waiting for! The pointed end is the fishy's tail, so you just fold the point by folding the paper up and AWAY from you. Flatten the tail fold well so the tail stays in place. Finally, give your fishy her own personality with big eyes, a smile, and then spread glue on her body and sprinkle on the glitter you've chosen for scales! Use your imagination and even take a look at a book on tropical fish for inspiration so your origami fish look like the "reel" deal! In a few folds, you have whipped up a fabulous fishy friend who you make your own with your own sense of creativity and embellishments! Happy folding and happy day!